To prudent parents and educators it is clear that an enlightened partnership will protect a child's health and education. However, many parents cannot take that partnership and a child's health and security at school for granted. I understand the challenge of managing asthma, allergies, and other chronic illnesses and environmentally-triggered conditions at school. My work is dedicated to promoting a better understanding of the health and educational needs of students with asthma and other chronic health conditions. My publications, workshops, services and resources are designed to help educators, health professionals, policy makers and parents work together for educational and health policies and practices that promote every child's healthy development. Another goal is to inspire policy makers to see new opportunities for leadership on behalf of children. My publications and resources cover a wide range of school, community health and safety advocacy topics. For a complete list of publications, please contact me, ellie.goldberg@healthy-kids.info. A parent writes: How can you help me? How can you help me work with my school? I can help you make the best decisions for your child and your family. I can help you define and express your child's needs in positive language consistent with the educational goals and mission of the school program. I know that the skills and healthy choices necessary for managing asthma, allergies, diabetes and other health challenges are good health and hygiene for everyone. I can help you obtain effective documentation from your physicians and specialists. I can help you assess your school's "Potential for Partnership." That is the most important factor for deciding if your school is willing and able to meet your child's health and educational needs. What is your school's culture and social climate? Are attitudes best described as "survival of the fittest" or "It takes a village to raise a child"? The core values in your school handbook talk about celebrating diversity. Is it rhetoric or real? Do student or staff attitudes make it dangerous to be different? What is the nature and scope of parent involvement? You can learn about a variety of school leadership styles and parent-involvement indicators. Learn how to find allies in your child's classroom, school and the community. Does the school teach students about the dangers of smoking and drugs but ignore obvious health hazards and air quality problems? 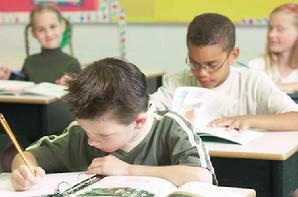 I can help you better understand the school's obligations and parents' and students' rights. I can help you create a proposed Individualized Health Plan (IHP) or Section 504 Plan or review your child's existing IHP or Section 504 plan and suggest ways to make it better. I can help you position yourself as a resource to your family and your school with inspirational examples of healthy classrooms and successful planning systems. Instead of thinking "special needs," I point out the educational opportunities and benefits of planning healthy choices. Instead of "accommodations" I use the term "guidelines." In fact, the decisions necessary for managing asthma or diabetes can be used in all areas of curriculum. The health-related and critical thinking skills apply to language arts, math, science, consumer education, citizenship education and the comprehensive school health program.